There’s something invigorating about camp meeting. Perhaps it’s the curious name itself – a term used officially by our denomination first in 1868, but foreign to many new members with less familiarity of Adventist history. Perhaps it’s the beautiful weekly forecast of 80 degrees and sunshine. Perhaps it’s the opportunities for adventure and learning. Perhaps the energy of a lively campus teaming with friendly faces and warm conversations. But it’s the anticipation of young hearts passionate for a living God who will breathe fresh life into lukewarm complacency, inspire compassionate service, and cause a hunger for deeper, more authentic relationships that most inspires us. During each weekday at this year’s camp meeting, fifty eager youth gathered for worship every morning led by a team of students from Union College. They were challenged to go beyond a meaningless spiritual routine into the deeper waters of a personal spiritual relationship with Christ based upon the Bible and authentic worship. From their cold auditorium seats, they boarded a yellow school bus and arrived at a construction site near downtown Hutchinson operated by Habitat for Humanity. 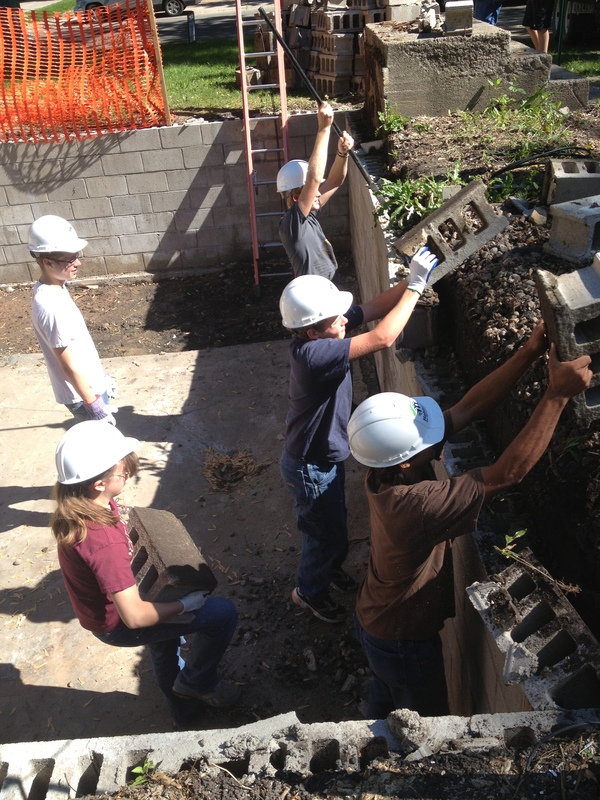 Donning work gloves and hard hats, with tools in hand, they went to work vigorously tearing down an old house foundation, moving three trailer’s full of cement block, clearing brush, and building an outdoor shed. 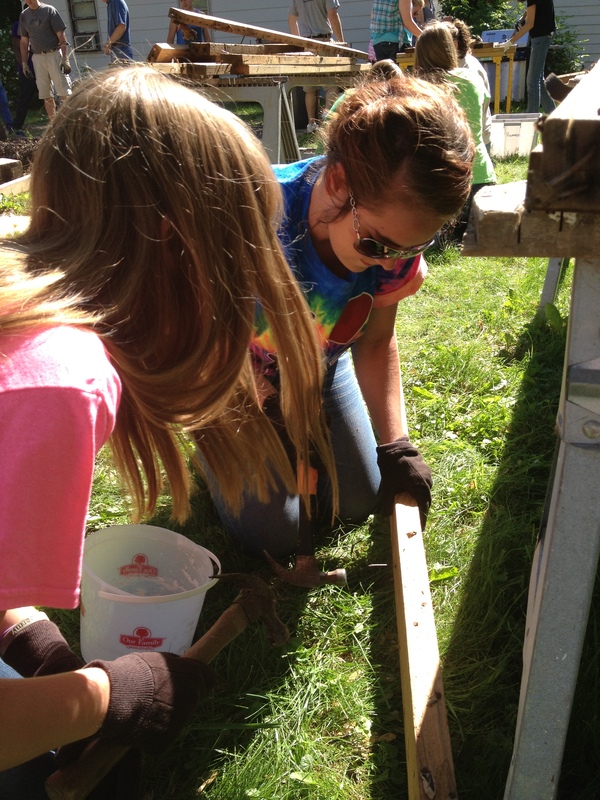 One day during a lunch break, Habitat for Humanity volunteers arranged for these youth to meet the residents of the new house yet to be constructed on the site, and introduced themselves to the mother and daughters receiving their service. 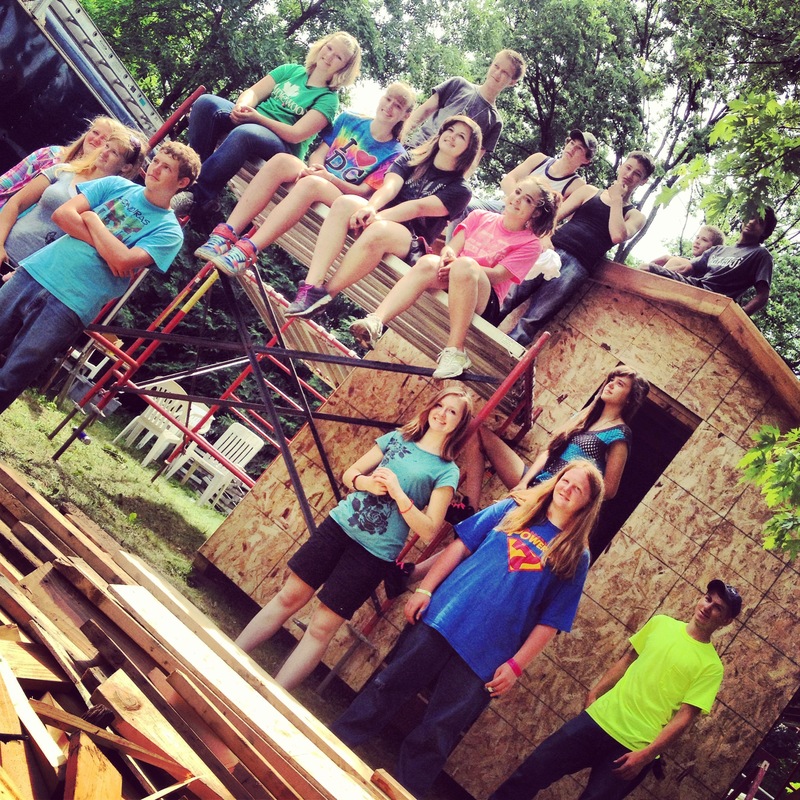 After several days of hard work, these youth returned to campus inquiring if next year during camp meeting they could come back to the construction site to see the completed house and have lunch with the family, seeing their service as a gift that would have lasting effects. 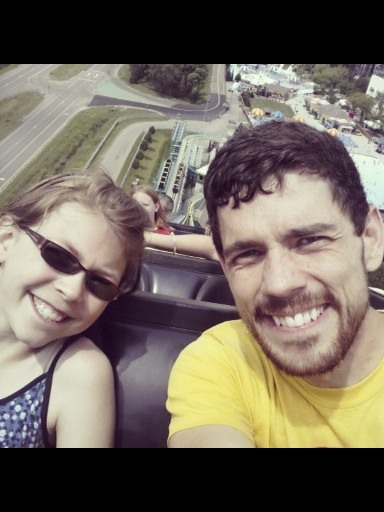 On hot afternoons after a full morning of strenuous physical labor, the youth enjoyed time together with friends on the beach of a nearby lake or a day celebrating their week’s accomplishments at the Valleyfair Amusement Park. Some of our youth are so spiritually grounded, rooted in the knowledge of who God is and what He has personally done for them, we feel we can entrust them to the Spirit when they interact with people in places and spaces that may be completely void of spirituality. We choose to be less motivated by a fear of the devil’s attacks on our youth and trust instead in the promises of God to place a protective hedge around them to keep them from falling and to empower them for His service. We seek to use every opportunity during our short week together to create for each youth an access to Christ and a growing personal relationship with Him that will keep on transforming them long after camp meeting. Each year, many Adventists make a pilgrimage to Maplewood Academy for a spiritual week of rejuvenation in which we reconnect with old friends and family; attend seminars and Bible studies to help make our families mentally, physically, and spiritually stronger; and accept the challenge of weekly speakers to seek the presence of God more fully. We have something for everyone – from infancy to those wise-older years. But for many years we’ve segregated ourselves, adults from youth with the goal of intentional age-specific activities and messages. The problem with this is that over time we’ve cultivated a mentality insisting that we have very little to learn from each other. Combining the youth and adult evening meetings at camp meeting this year was the first attempt to build a bridge between generations, cultures, and peoples in order to listen to one another and our own unique testimonies. It was just the beginning for some to learn the depth of understanding and passion our youth have for our same Jesus Christ–to learn that age is no indicator of spiritual maturity. Together, as we listened to the inspired messages from Karl Haffner, these combined meetings cultivated the opportunity for deeper conversations about Jesus and how He relates to our personal lives, our intimate stories, and our interpersonal relationships. There is no limit to what He can and will do through the youth of this Conference as we live during the greatest period in all of earth’s history – these last days! There is no telling what God will do through us as we come together and unite in the power of His Spirit confessing with our mouths that Jesus Christ is Lord of all and remaining faithful to His call to the very end! John Millea was the invited guest speaker for the earliteen department. A native of Minnesota, he enjoyed coming back for a visit. Gifted as a singer and song writer, he was great with the young people, teaching them some of his songs, going to the pool, Valleyfair and other activities throughout the week. In the evenings he presented Matthew 8 & 9, telling how Jesus was the healer to many people, and how he can heal us of sin and be in our lives. 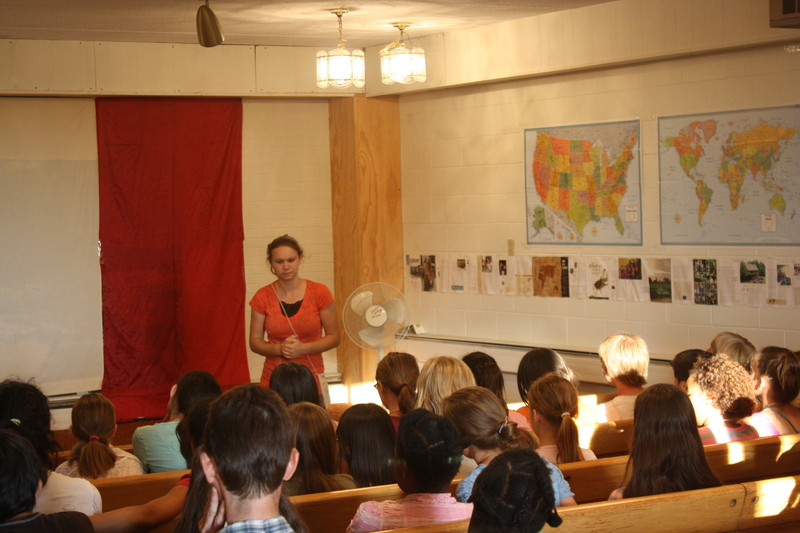 The theme for Juniors at camp meeting this year was Missionary Journey: I Can be a Missionary. 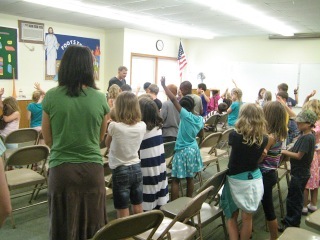 More than 50 energetic boys and girls packed into the girl’s dorm chapel at Maplewood Academy on June 14. We put our energy and missionary spirit to work by cleaning up a portion of road near Hutchinson and making cards and singing for elderly nursing home residents. We also learned lessons from Paul’s missionary journeys. One of the highlights of our week was a wilderness adventure where we gathered our own wood, built a fire and cooked our own lunch. Come join us next year for another adventure! 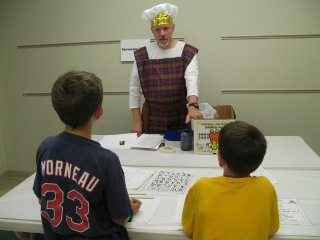 Approximately 50 children experienced “The Bible Times Adventure” in the Primary Department at camp meeting this year. 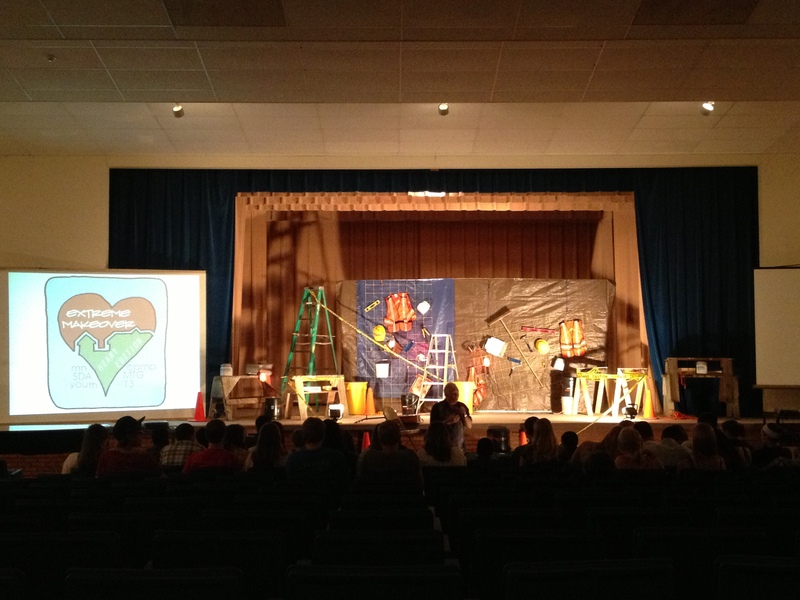 The main theme was teaching each of the children the importance of following Jesus in every area of their lives. 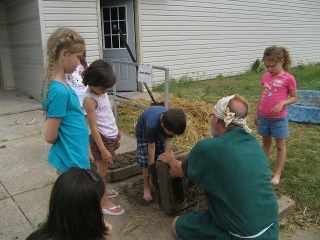 Each day the children went through a “time machine” and found themselves back in Biblical times, visiting a marketplace where different booths were set up. Some of the booths were managed by a tax collector, a brick layer, rope maker, carpenter, potter, etc. 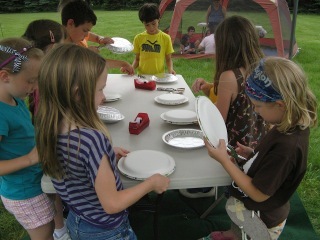 At each location, the children were able to make a craft which they were able to take with them at the end of the day. The children also worked on learning to recite the books of the Bible and “The Beatitudes.” A huge thank you to Barb Eno and her team of helpers for another great year! The Women’s Ministries Retreat is fast approaching! Be on the lookout for more information at your local church and be sure to register early. It’s going to be a great weekend! Thank you to those who were able to stop by our display table at camp meeting and register for two $50 scholarships. The winners are Jan Flowers from Lake Crystal and Katrina Robinson from Hopkins. Congratulations to them! 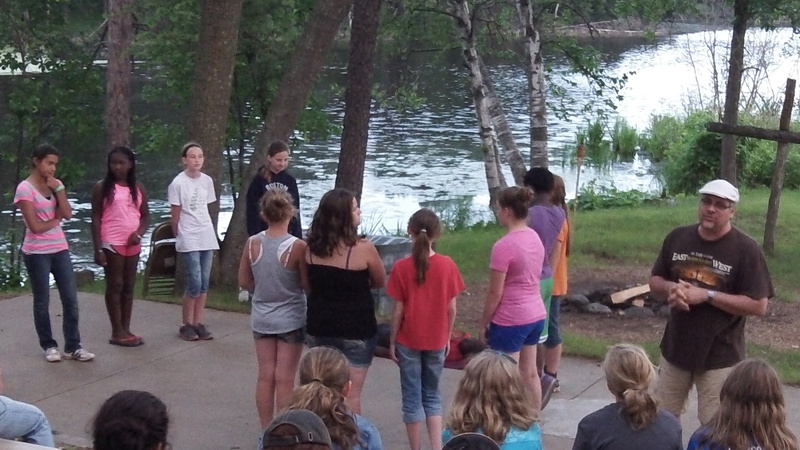 We look forward to worshiping with and getting to know all the ladies from Minnesota and beyond! Prison Ministries – I love it! The Lord led me to this ministry through Pastor David Grams in December, 2010, after I found out I had a health condition which prevents me from going outside much of the year. Now that I have to stay inside, I prayed that the Lord would provide me with a ministry that would be challenging as well as fulfilling. The Lord answered my prayers. I wrote back to Charles and the choir that he has started there. I reminded them of Paul and Silas who prayed and sang to their Lord when they were in prison. It is stories like this that give me a spiritual high. They help me stay close to Jesus myself as He continues to use me in His ministry. No Child Left Behind, better known as the 2001 No Child Left Behind Act. NCLB ensures that all children have a fair, equal, and significant opportunity to obtain a high-quality education and reach, at a minimum, proficiency on challenging state academic achievement standards and state academic assessments. It is based on the belief that setting high standards and establishing measurable goals can improve individual outcomes in education. The NCLB is defined and focused on the academic child and what a teacher must do to help this child finish school; but for the Christian teacher it’s different. It’s so much more than just “teaching”. It’s training the child for life, focusing on holistic education and making sure the main focus is Jesus. I began this article defining the law and differentiating between teachers because it’s important, and because it became a whole new reality to me this summer through the eyes of a camper. 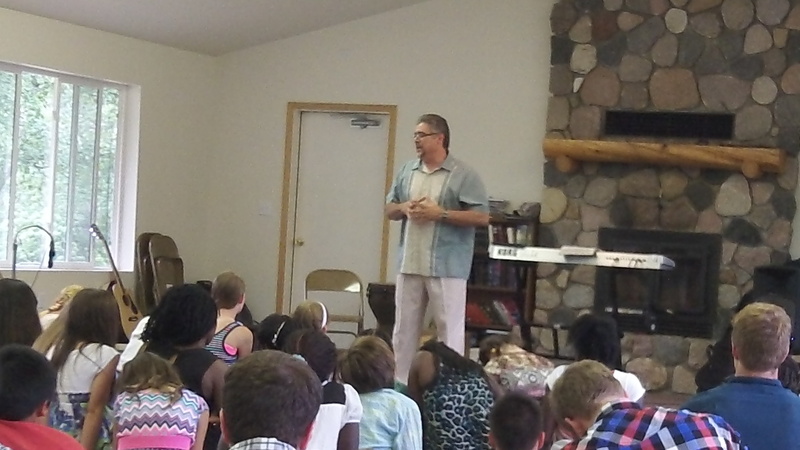 In July, Pastor Jeff Wines invited my husband, Pastor Carlos Rodriguez, to be the speaker for Tween camp (12-13 year olds) at North Star Camp. We thought it was a great opportunity, and we brought our 13-year-old daughter to experience summer camp for the first time ever. Now, I must admit that I have always been skeptical of summer camps. I have not been sold on the idea that a parent can leave a child to complete strangers for a whole week. So, knowing that I would be present and able to observe, the idea was not as horrifying to me. Wow! What I learned was amazing! 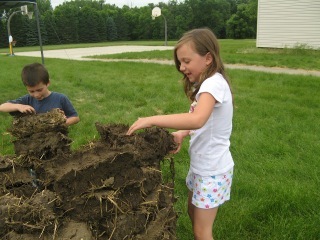 I had a preconceived idea that camp was all about outdoor activities and plain fun. Instead, I learned that it is also a tremendous spiritual experience for everyone involved – including myself. 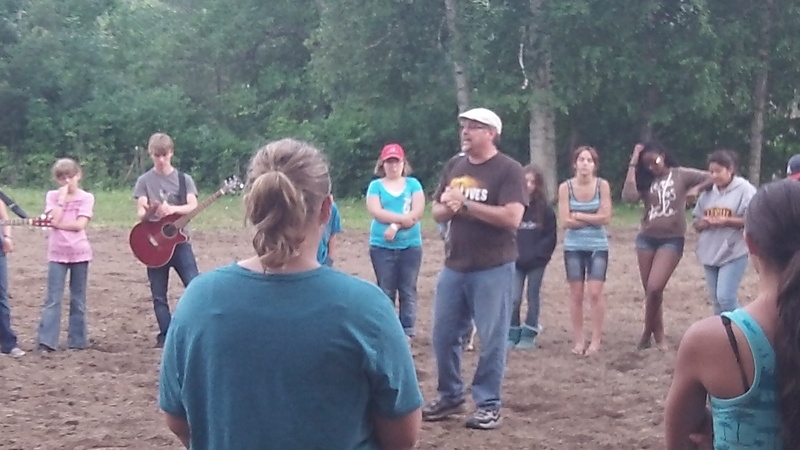 The camp staff had a daily skit on the life of Paul and how his life touched so many around him, converting people from different walks of life to accept Jesus. I saw children connecting spiritually to the staff, the pastor and to one another on a daily basis. 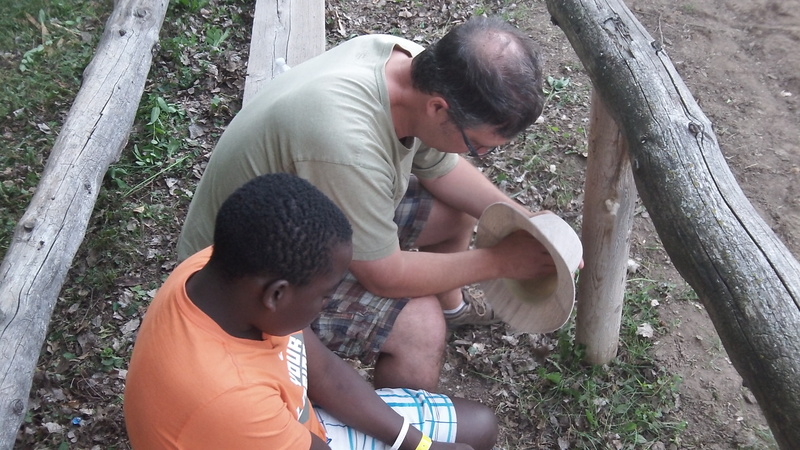 The staff made learning about Jesus fun, and the campers were all excited to participate. 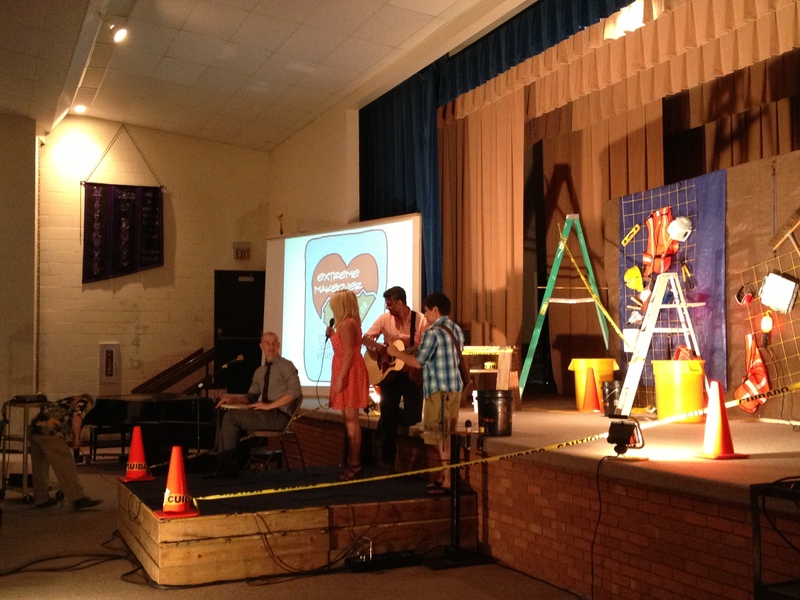 They wrote songs, poems and even made up skits of what they have learned and experienced about the Bible. The staff were very much tuned-in to their campers and because of this the children confided in the staff more every day with their personal struggles and problems. I witnessed children playing and some who were not up to playing or being involved, perhaps because of their problems and worries. But I also witnessed that these children were not “left behind.” I saw the staff putting aside what they were doing to stop and check on these children and care for them. Even right in the middle of the games, they stopped to pray with them and for them! 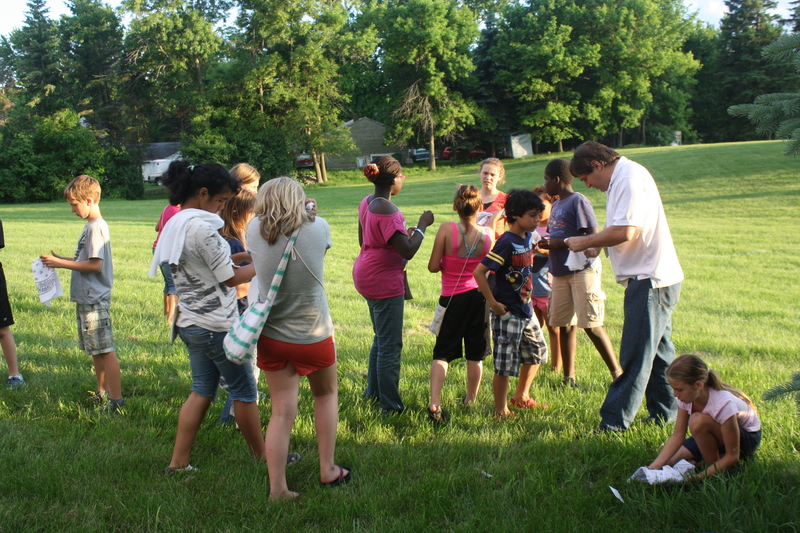 The connection these young adults had with the preteens was amazing! God was working through the camp staff and almost overnight these young adults became role models and mentors to the campers. 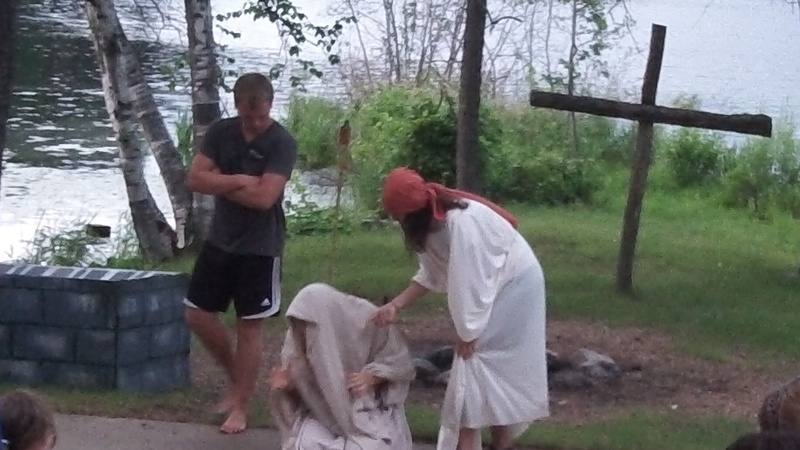 The young men and women, many are seniors from high school and/or college students, were modeling Jesus! They were becoming Paul! They were witnessing to all of these children every moment. I even experienced prayer before going on a boat ride! I was so impressed, I asked Pastor Wines, “How do you find staff like this?” I believe that Pr. Wines gives all of his concerns and worries to Christ and he allows the Holy Spirit to guide him through this selection process. It is the only answer that makes sense. You see, he was not just looking for staff; he was looking for the holistic staff that could make the difference at North Star Camp. I know that someday these young adults will become pastors, teachers, counselors or some profession where their God-given gifts will be put into practice and they will reach the world for Christ. When the Sabbath was approaching the staff concluded their week-long story of Paul. Then Pr. Rodriguez delivered a very powerful message in regard to the sacrifice the Father made for us, “For God so loved the world that He gave His one and only Son, that whoever believes in Him shall not perish but have eternal life.” (John 3:16) He illustrated it by asking the campers to participate in a difficult fictional exercise. They were to write on a piece of paper five things: their best friend, pet, mom, role model and Jesus. If one by one these persons were tragically removed from their lives, what would be the order and who would they choose to be last? As the names were being slowly deleted, the expressions on the camper’s faces and staff were becoming worrisome and sad. At the end, Pr. Rodriguez told them that if the last name standing was Jesus they had made the right decision, because as hard as this exercise was Jesus is the only one we can rely on. As hard decisions and circumstances come our way, Jesus will always be the one we can trust and only through Him we will have our loved ones returned to us. Afterwards, the program director announced to everyone that we would begin Sabbath by having the staff wash the camper’s feet because this camp was about and for the campers. The staff were there to “serve” and make them feel accepted. What a way to end a wonderful week! There were circles of prayers and tears. There was so much joy that really could not be described with words. This was another way of demonstrating that “No child was left behind” during this camp; everyone was included and it was truly an inspiring experience. 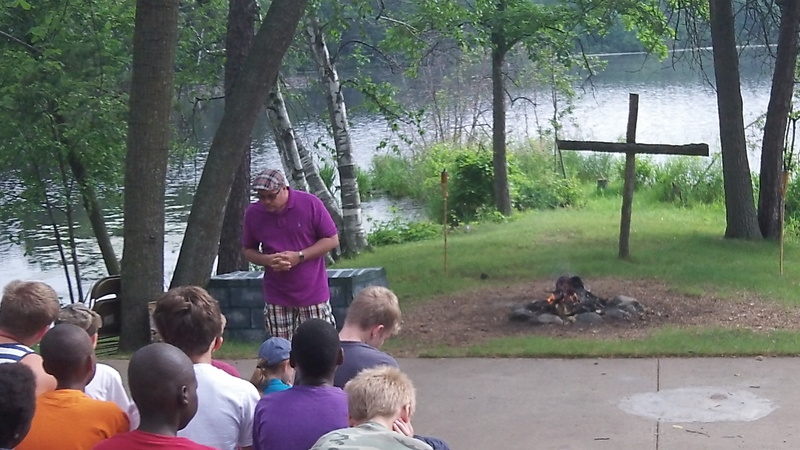 I am certain that with the Holy Spirit leading the staff, no camper will be left behind; we will all have a place a Jesus’ feet.